The leaves are already turning in north Arkansas, where just a few days ago great swaths of golden yellow could be seen around Viola. At this point, the very best view of foliage would be along Highway 62/412 from Siloam Springs across the state to the far side of Paragould. Right now on the west end, about half the leaves have changed color, while it's more like a quarter of the leaves on the other end. 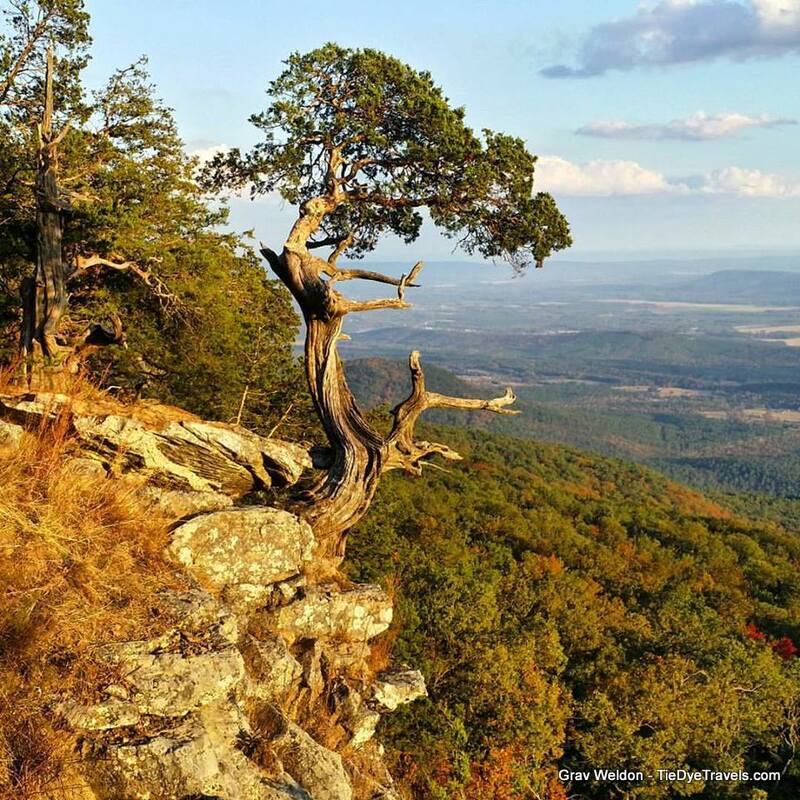 south of Jonesboro on Crowley's Ridge, October 25th. On our visit to the Forrest L. Wood Nature Center in Craighead Forest Park near Jonesboro Sunday, the leaves are about halfway turned. There are a lot of maple leaves down, but reds are really starting to pop and golds are prevalent. This Halloween weekend will be good for sighting foliage in northeast Arkansas. Though there were splotches of yellows and reds early this year, much of the central third of Arkansas, especially in the River Valley, are still not quite at peak. The photo at top, taken by Grav Weldon October 21st at Mount Magazine, shows the valley to the south with mostly green and a little red below. The north side of the mountain has more yellows and oranges, but still, it's not quite at peak. In downtown Little Rock, there's a lot of red thanks to gum and maple trees planted just for that very reason. We should see peak here in the next two weeks. Of course, I'm not an expert. I'm just calling it like I see it. 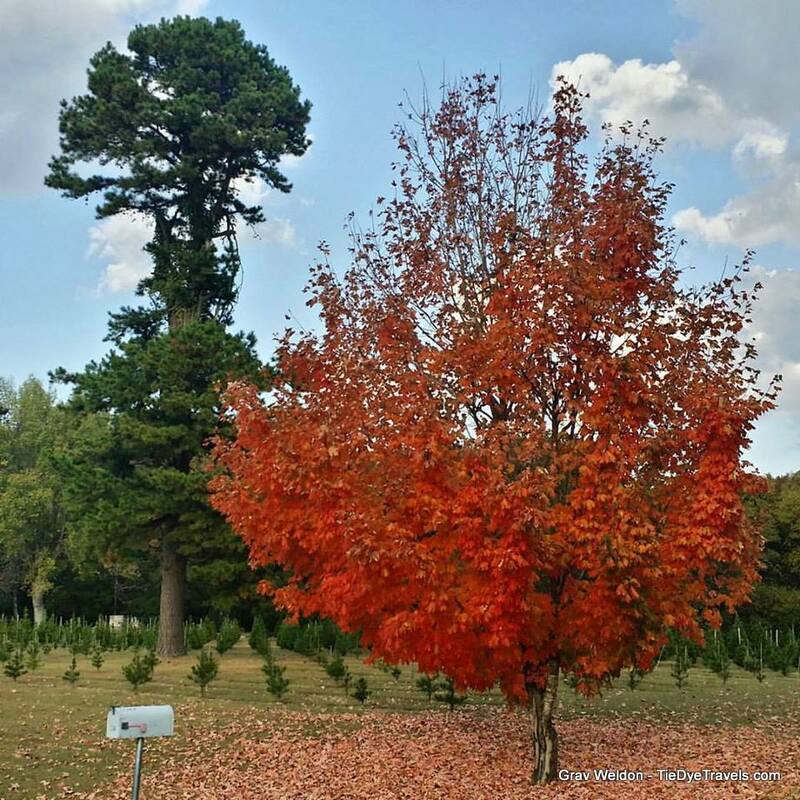 The best place to go is the Arkansas Fall Foliage Report, on this link, which updates by 5 p.m. each Thursday afternoon. Still, what you're looking for is where to drive... and that's where I can oblige. Here are my recommendations. In addition to Highway 62-412, this is a great time of year to check out old US Highway 71 between Alma and Fayetteville. The Boston Mountains should be pretty right now. Try Arkansas Highway 14. 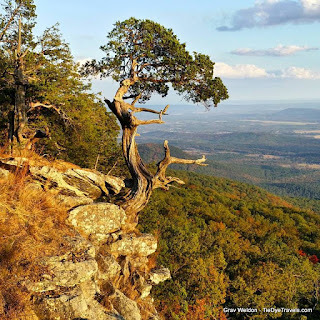 The section between Yellville and Mountain View takes you along some truly curvy paths away from urban centers, over the Buffalo National River and through gorgeously cut landscapes to the very heart of the Ozark hollows. Highway 5 north from Rosebud should be lovely, especially north of Drasco through Calico Rock. US Highway 67-167 north from Jacksonville to Bald Knob is particularly pretty right now, with a splendid array of colors.